On Rosh Hodesh Iyar, the 8th grade students of the Solomon Schechter School of Manhattan school confronted a difficult reality shared by many Jews trying to connect with Israel. At a kibbutz the group stayed at in the Galilee, they were told that we would not be able to use the Sefer Torah (a handwritten copy). The mashgiach, who certifies the kashrut of the kibbutz’s kitchens on behalf of the state rabbinate, had informed the kibbutz leadership that, if they were to allow the kibbutz synagogue or Sifrei Torah to be used by any non-Orthodox group, especially egalitarian groups like ours, who include all genders equally in the rituals, their guest house would risk losing the kashrut certification that allows them to bring in guests — including us. Our students were in the midst of a two-week Israel study tour. Throughout the trip, our students prayed each day. On days when it is traditional to do so, they read from the Torah, and trip organizers know to arrange, wherever they are in the country, to have a Sefer Torah available. They had made advance plans with this guest house, as they had often in the past, so the refusal proved a disturbing surprise. The kibbutz leaders were unhappy about being held hostage by the mashgiach, but they did not feel they could risk standing up to the rabbinate’s authority. On the first day of Rosh Hodesh Iyar, our students davened without a Sefer Torah solely because our expression of Judaism was not considered legitimate enough to use the Sefer Torah available. The mashgiach in this kibbutz is not a lone actor. Moshe Gold, the director of the Ramah Israel Institute, our partner organization in Israel, told us that they were facing similar limits on other groups they were working with. By the second morning of Rosh Hodesh, our friends in the Ramah offices had tracked down another Sefer Torah our group could use. But just a few days later, the students were again denied access to the Sefer Torah at another kibbutz near Jerusalem, again because of our egalitarian davening. In fact, on the very same morning of Rosh Hodesh Iyyar, Haaretz reported that a group organized by a yeshiva in Jerusalem took over the Western Wall’s Ezrat Yisrael, the special space designated for men and women to be able to pray together, and set up a large barrier to separate men from women. Reform and Conservative Jews, as well as Israel’s small but growing egalitarian communities, received a loud message. The rabbinic establishment in Israel doesn’t just disagree with us — it thinks we have no place in the State of Israel. As the Head of a Jewish Day school, I work hard to convince American Jews to support Israel. I am trying to inculcate in my students a sense of deep connection to the land, people and State of the Jewish State. I aspire for the students to see the story of the Jewish state as their story, and for their Zionism to be an integral part of their identities. This is not easy. The forces and voices that seek to delegitimize Israel abound, and they appeal to my students’ senses of fairness by presenting a narrative accusing Israel of occupation and imperialism. If my students are going to withstand this sort of opposition to Israel, they will need to have such strong commitments to Israel that they can see past anti-Israel rhetoric and stand up for the Jewish people’s — their people’s — right to sovereignty and safety. And they need to feel that the State of Israel cares just as much about them. Our mission at Schechter Manhattan is to nurture our students’ relationships with our Jewish collective, our warm, vibrant, authentic, religious, Jewish community. And we teach them that their relationship with their Jewish community, and their very identities, include an ancestral homeland, the State of Israel. Denying access to Sifrei Torah for egalitarian worship when we bring our students to Israel undermines our efforts to build up their sense of identification with Israel. While we’re trying to tell them that Israel is an extension of their Jewish identities, what they hear from Israel’s own religious representatives is the opposite message: your Jewish identity is not legitimate here. The official religious authority in the Jewish state doesn’t just fail to recognize the religious community that our students have grown up in; it holds it in contempt and works to oppose its expression. Why would young American Jews feel connected to a country and culture that rejects them? Why would they see the story of Israel as their story? And if it is not their Jewish story, why would they care about Israel? 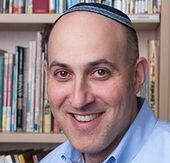 Benjamin Mann is the Head of School of the Solomon Schechter School of Manhattan. This story "How To Break Israel’s Bond With Young American Jews" was written by Benjamin Mann. Benjamin Mann is Head of School at Solomon Schechter School of Manhattan.